Pink Balloons - It's A Girl! 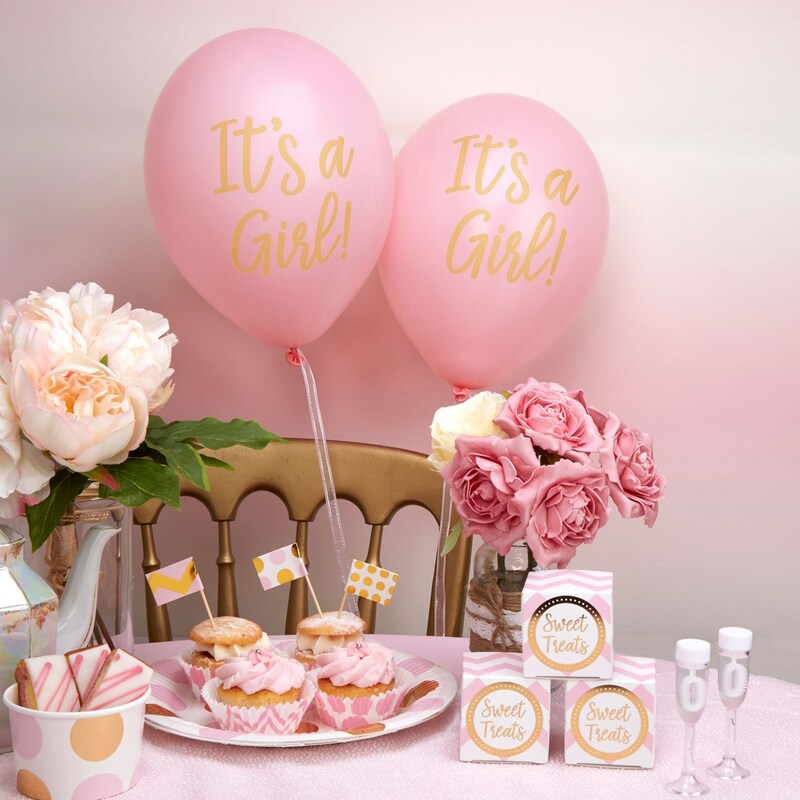 DescriptionAdd a playful touch to your celebration with these fun ‘It’s a Girl!’ balloons. Retro-style gold lettering stands out against a pink background, creating a lovely decoration for a baby shower or christening. Each pack contains 8 Pink Balloons. Add a playful touch to your celebration with these fun ‘It’s a Girl!’ balloons. Retro-style gold lettering stands out against a pink background, creating a lovely decoration for a baby shower or christening. Each pack contains 8 Pink Balloons.